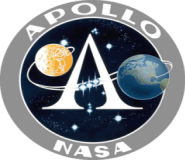 with the program while continuing to work with the astronauts though Gemini, Apollo, Skylab, and ASTP. 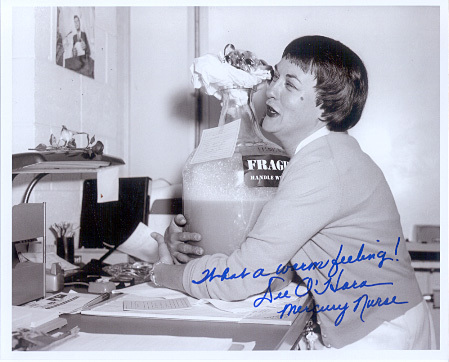 "What a warm feeling !" 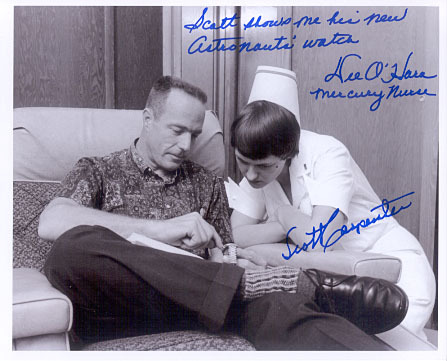 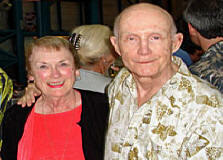 Wally Schirra's most famous "Gotcha"
Scott Carpenter shows Dee O'Hara his Astronaut's watch. Dee O'Hara asks her brave Astronauts...."Who wants to be first ?" 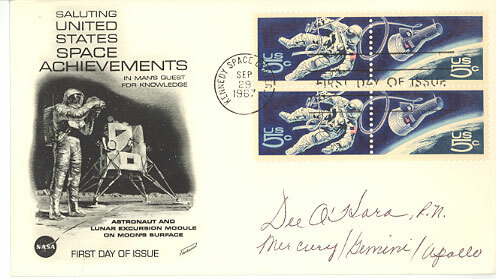 Dee hand signs this first day of issue cover honoring Ed White's historic space walk. 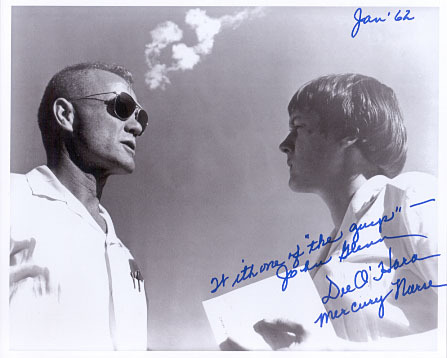 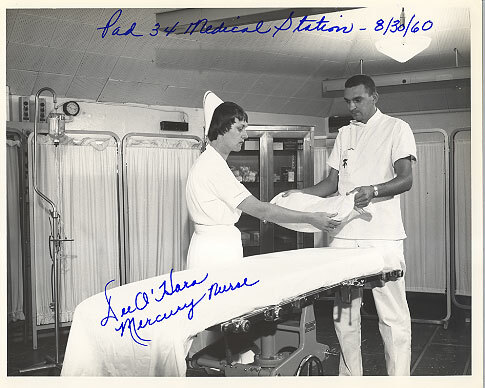 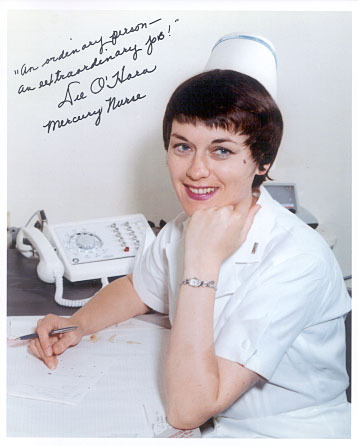 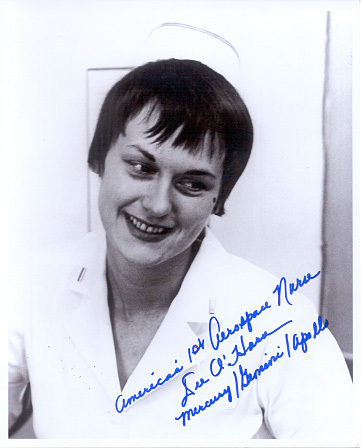 Dee hand signs and inscribes this vintage and seldom seen Air Force photo taken in the Project Mercury Medical Station. 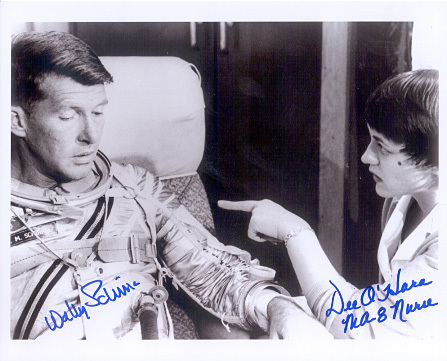 Vintage NASA photos of Dee are hard to come by. 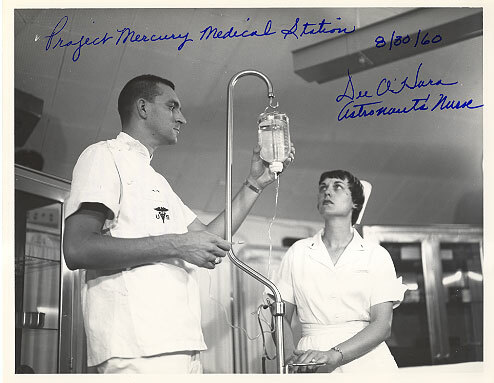 Dee hand signs and inscribes this vintage and seldom seen Air Force photo taken in the Project Mercury Medical Station. Vintage photos of Dee are hard to come by. Very nice !